→ I finally know what 'sky squiggles' are! I finally know what 'sky squiggles' are! It's nice to finally know the truth. Note: This is not the same as floaters. Below are some images of what floaters look like with links to where the images came from. 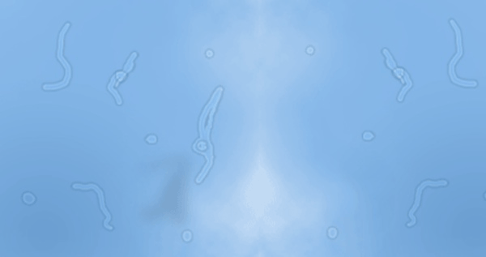 Floaters move slowly across my eyes, but white blood cells are small and really fast. I always wondered what I was seeing. Thanks for the info. Scheerer's phenomenon should not be confused with "floaters" (muscae volitantes). Please click on the link for "floaters", are you sure, you don't mean those? 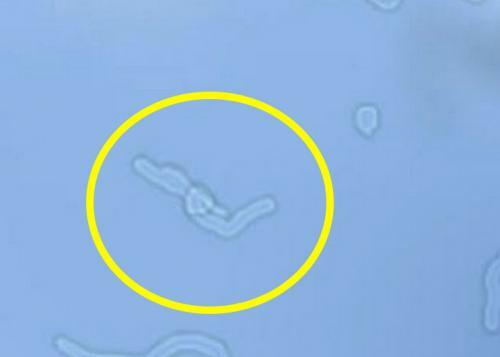 Floaters move slowly and look like amoeba. What I'm talking about is exactly what I posted. I'm not sure if I ever have noticed the Blue field entoptic phenomenon, can you instruct me on how to provoke it? (I mean, an easier method than "The patient is alternatingly shown blue light and a computer generated picture of moving dots.") Just staring into a blue sky? What do I have to pay attention to? I'm not sure if I ever have noticed the Blue field entoptic phenomenon, can you instruct me on how to provoke it? Just staring into a blue sky? What do I have to pay attention to? On a bright sunny day, stare at the sky (not at the sun). After your eyes adjust, ignore any floaters that might be in the way and look for tiny fast moving see-through tadpoles. After you know what to look for, you should see a bunch of them darting in front of your eyes faster than cars on the freeway.